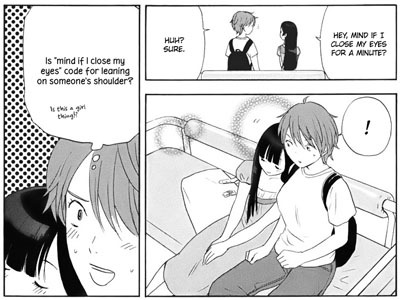 Chapter Summary: Yoshiki has no idea how to act around Mikako, but Mikako doesn't seem to mind at all. Well, the scanlation of this chapter is already out, so I don't know how much a summary is really needed, but since I already did the rest of the volume, I wanted to finish it up for completion's sake, if nothing else. And volume 23 will be out in just a couple weeks, so there's that to look forward to! Beneath the cut is a detailed summary of 7 Seeds vol. 22, chapter 116 by Tamura Yumi. Don't click through if you don't want spoilers. Download the raw here. Beneath the cut is a detailed summary of 7 Seeds vol. 22, chapter 115 by Tamura Yumi. Don't click through if you don't want spoilers. Download the raw here. 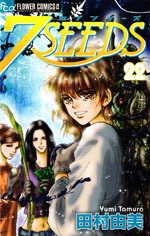 Beneath the cut is a detailed summary of 7 Seeds vol. 22, chapter 114 by Tamura Yumi. Don't click through if you don't want spoilers. Download the raw here. Beneath the cut is a detailed summary of 7 Seeds vol. 22, chapter 113 by Tamura Yumi. Don't click through if you don't want spoilers. Download the raw here. First chapter of volume 22! My goal is to get at least half of this volume done this month, and so far I'm on the right track! Beneath the cut is a detailed summary of 7 Seeds vol. 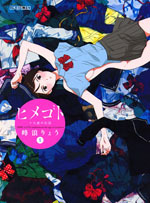 22, chapter 112 by Tamura Yumi. Don't click through if you don't want spoilers. Download the raw here. Beneath the cut is a detailed summary of 7 Seeds vol. 21, chapter 111 by Tamura Yumi. Don't click through if you don't want spoilers. Download the raw here. Beneath the cut is a detailed summary of 7 Seeds vol. 21, chapter 110 by Tamura Yumi. Don't click through if you don't want spoilers. Download the raw here. Beneath the cut is a detailed summary of 7 Seeds vol. 21, chapter 109 by Tamura Yumi. Don't click through if you don't want spoilers. Download the raw here. 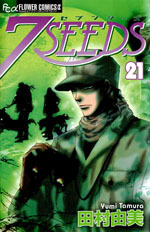 Beneath the cut is a detailed summary of 7 Seeds vol. 21, chapter 108 by Tamura Yumi. Don't click through if you don't want spoilers. Download the raw here.